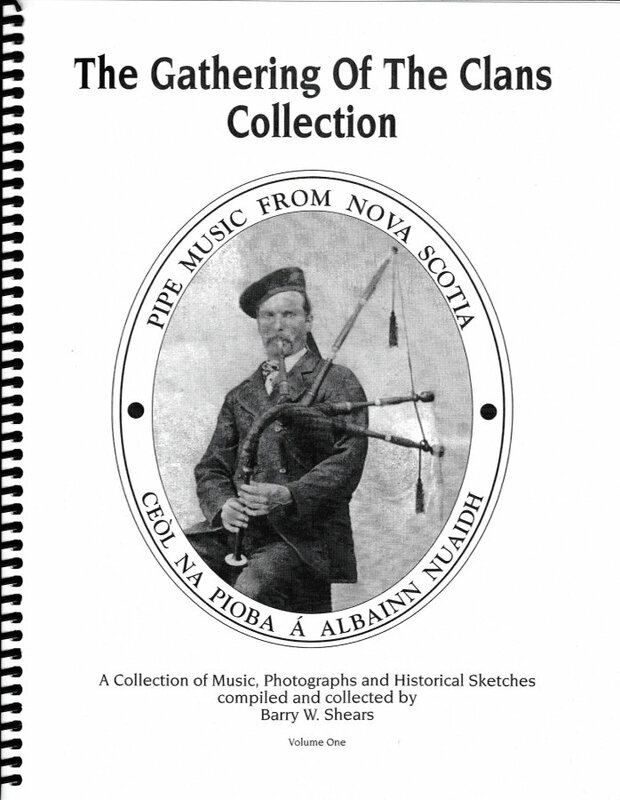 The Gathering of the Clans Collection, Volume One is a collection of photographs, family histories and music, includes 93 tunes. 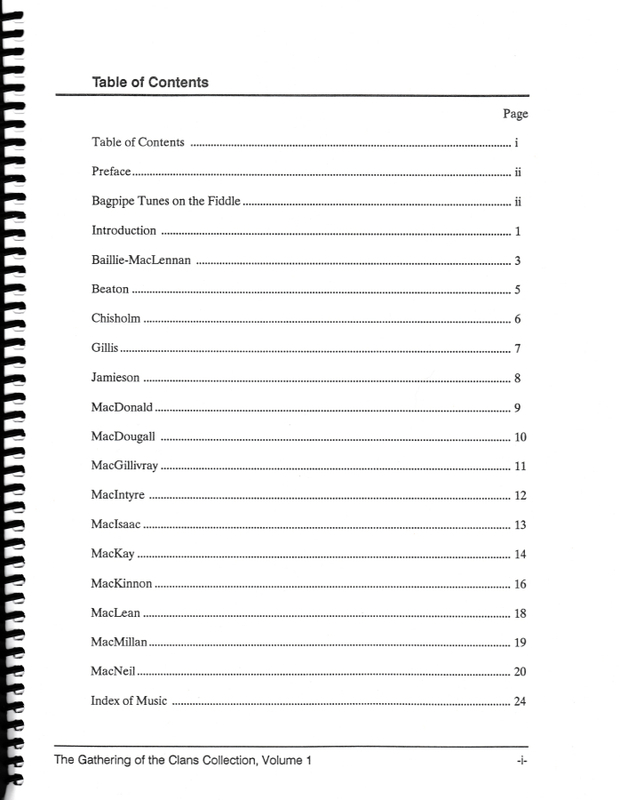 Many tunes from the book have been recorded by pipers such as Alasdair Gillies, Roddy MacLeod, John Cairns, Barry Shears, Hamish Moore, and the SFU Pipe Band, and many others. Shipping within Canada $6.00, USA $10.00 (overseas orders please inquire). © Barry W. Shears, 1986. 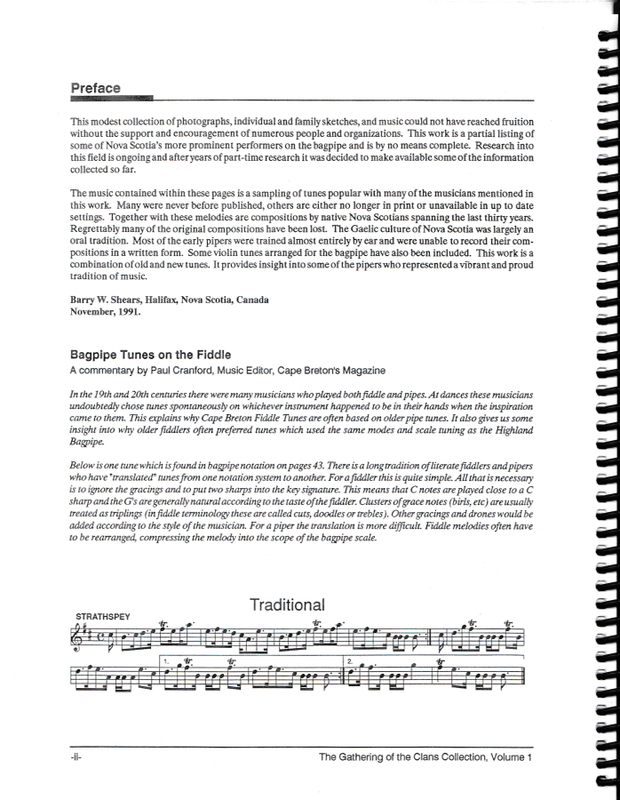 Second Edition Published December 1994.